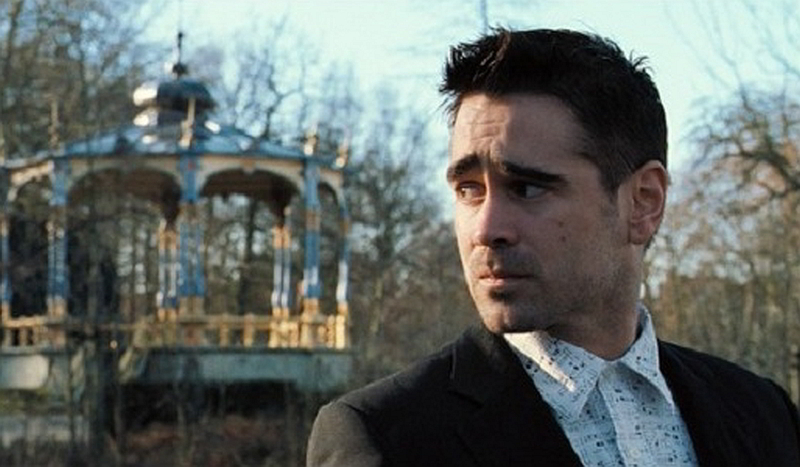 Should I worry that I identify so strongly with a philistine, impotent, dwarfist, suicidal, child-killing Colin Farrell? In Bruges is one of my favourite movies, strongly flavoured with the ink-black Irish bile that flows from my favourite playwright, Martin McDonagh, whose Lieutenant of Inishmore piles up more bodies per square inch of stage and more nervous laughs per minute than anything else I’ve ever seen. In Bruges has a less biblical body count, but the humour is just as pleasantly vicious. Colin Farrell’s Ray bungles the contract killing of a priest and shoots a child. He’s hustled off to Bruges by his minder, Ken (Brendan Gleeson). The two explore the city while awaiting instructions from their boss, Harry, monstered with magnificently vulgar brutality by Ralph Fiennes. Two things draw me to the movie: its treatment of the sense of place and the issue of complicity. The death of a child is outside the moral code of the contract killer. Ray carries his guilt like a burning brand, scorching everything he sees and thinks. He knows a child killer does not deserve to live. So Ray begins to embrace and even to be complicit in the idea of his own righteous death. Complicity is explored in my novel The True & Splendid History of the Harristown Sisters. The narrator, Manticory, is complicit in the exploitation of her own body and hair by various men who turn her and her six sisters into stars of the stage and the pharmacy shelves. Manticory is also dangerously complicit in the bullying of Darcy, her oldest sister, whose machinations she entirely fails to curb until it’s too late, and she herself has become part of a crime. Sense of place is crucial to The Harristown Sisters, set in famined Ireland and in Venice. In Ireland, pessimism falls like the rain; the crooning crows mock the poor, barefoot Swiney sisters. Like Ray, Darcy Swiney is utterly untouched by Venice’s sinuous canals, her dreaming palaces, the history sweltering out of her stones. But Manticory, like Ray, sinks into the city and becomes part of it, and it becomes part of her.